Legend says that the Girl in the Moon is Frederick Miller's granddaughter. As the logo for Miller High Life, she is prevalent in and around the Miller Valley. 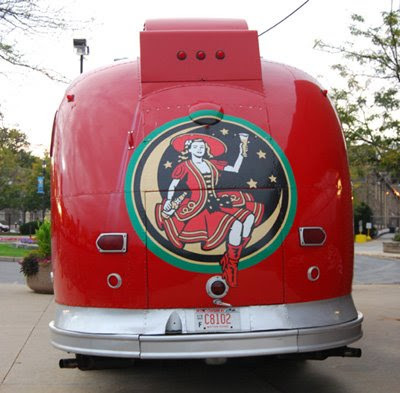 This rendering is on the back of the Miller High Life Cruiser, a vintage bus parked next to the gift shop that bears her name. The gift shop is also the start point for the brewery tours. That is so cool! The bus and the logo are just great!